I have searched for one of Peyton’s game worn jerseys for two decades now. If you know the whereabouts of one I will pay you an extremely handsome finders fee. If you own one I will pay you over market value for it. Any help is appreciated. Have you checked The Dugout in Pigeon Forge? You know Dr. Loomis is Haslem, only guy with that kind of $$$ to throw around!!! I love that Loomis collects these things and shares them with us and doesn't give a rip about our thoughts. You looking for college or pro? I looked for one of those for years and never did find one...It's not something you run into very often and when you do find one its going to cost you out the wazoo because it is a serious collectors item...I wish the good Dr. luck and I hope you find one. Wonder how many Peyton has held on to? Seems like a savvy thing to do would have been to hold onto most of them and keep them very rare and make their value skyrocket. Then once in a great while he could donate one for a charity auction, watch it go gangbusters, rake in a ton of bucks for the charity and take a massive tax deduction for himself. 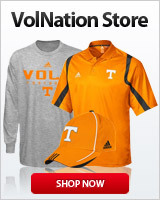 I know there are ten Peyton game worn Tennessee jerseys in existence.....minimum. He was issued home and away for four years...and the Citrus Bowl jerseys against Northwestern and Ohio State were made just for that game. The jersey for the Orange Bowl against Nebraska was the regular season jersey with patches sewn on for that game. There is a football card company, Press Pass, that made a game worn jersey card...and if that card is legit that means one of the ten is destroyed. Only Tennessee. I have owned several of his NFL game worn jerseys and I currently own these three. How do you go about establishing maximum though? And isn't that ultimately the magic number? Do they make/issue multiples per season or just as necessary? Brother I am sorry you feel that way and I respect your opinion. I don't see it as creepy at all; I see it as a big time business and I do my homework with extreme diligence. The three jerseys above, in about ten years after he enters the Hall of Fame, will be worth $250,000+. What you see as creepy I see as intelligent investing and financial decision making. Thats a great question and heres the answer: I was told by UT staff he was issued 1 home and 1 away. Further, you can photo match the jerseys and see that he is wearing the same jersey in multiple games. It is a FACT there are ten of them at least...the maximum I would say is 12 at best. There's just no way. I'm sorry. Either the person you were told that by has zero clue or they lied. I have no insight, but to think that he only had 12 TOTAL jerseys in 45 games played is just comical. Besides you're forgetting how they went to black outline of the orange numbers on the road jerseys late in the 1994 season at South Carolina. That right there is one extra set. Also, you didn't mention the 1994 Gator Bowl. Would've also been a "one off" jersey. Besides, those 1994-96 jerseys were the mesh like "cheap" jerseys by Sports Bell that likely would've been replaced in a heartbeat from any rip or tear. Also, I distinctly remember how late in the season, as the weather got colder, the mesh material jerseys would get replaced with a more solid polyester type material. Likely due to cold weather and not needing the breathable material used in the hotter months. You are 100% correct about the Gator Bowl jersey. Heck I own James Stewart’s Gator Bowl jersey so I know those are one game shirts. I overlooked that one. Great call by you. Here's just one example from 1996 of an early season light/breathable Jersey to a late season cold weather Jersey without the holes. Notice how the mesh holes are gone late in the season. I used 1996 as an example as the Neyland Stadium 75th anniversary patch used that season at home guarantees that it's from the same season. I disagree with you concerning the warm and cold weather idea. Attached is a photo from the Florida game in 1997 when it’s hot as hell and also the Kentucky game when it’s freezing. It is the exact same jersey. I have photo matched it perfectly. I said 1994-96. 1997 is an exception of the change in weather jerseys as they went to the heavier Adidas jersey with tackle twill numbers that whole season. Much heavier quality jersey the entire year. See two posts up where I posted two examples from early 1996 and late 1996.